So what is the Immaculate Conception? 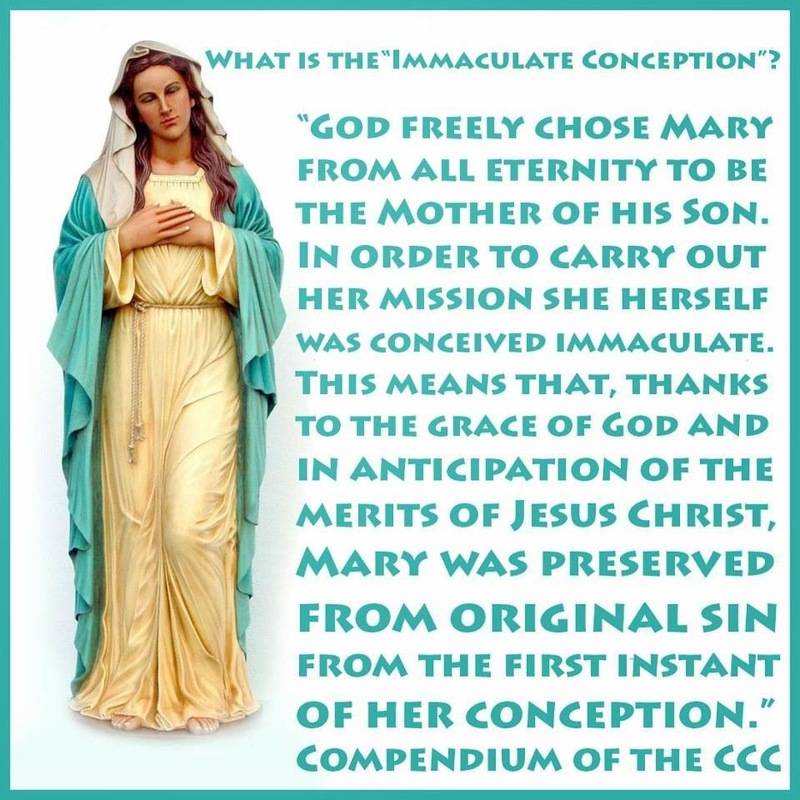 In other words, the Immaculate Conception means that Mary was conceived free from Original Sin. Original sin the sin committed by the fall of man, the rebellion of Adam and Eve. All of man inherited this stain of sin from our ancestors, except Mary. The Immaculate Conception is a dogma of the Catholic Church, and it requires the highest intelligence of faith to fully know and understand it. Our Blessed Mother confirmed it herself in her apparition to St. Bernadette in Lourdes. When St. Bernadette asked who she was, Mary replied, "Yo soy la Inmaculada Concepcion" (I am the Immaculate Conception).